I prefer to melt them into the palette as it is a far neater way of putting them into the the palette rather than mushing them in. I then had the idea to do the same with individual cream concealers. I made this into a smaller palette, this empty palette held 6 concealers. 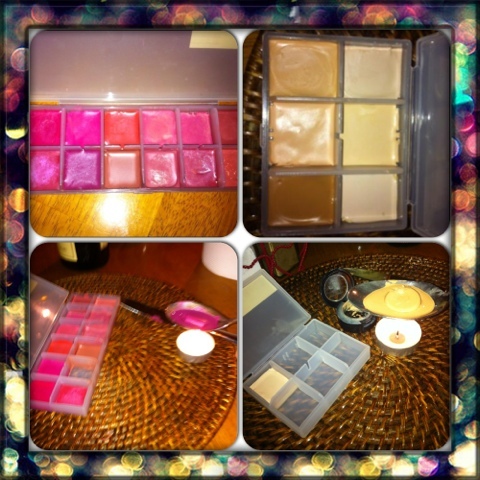 You need and use the exact same things as you would wen making the lipstick palettes as listed above.